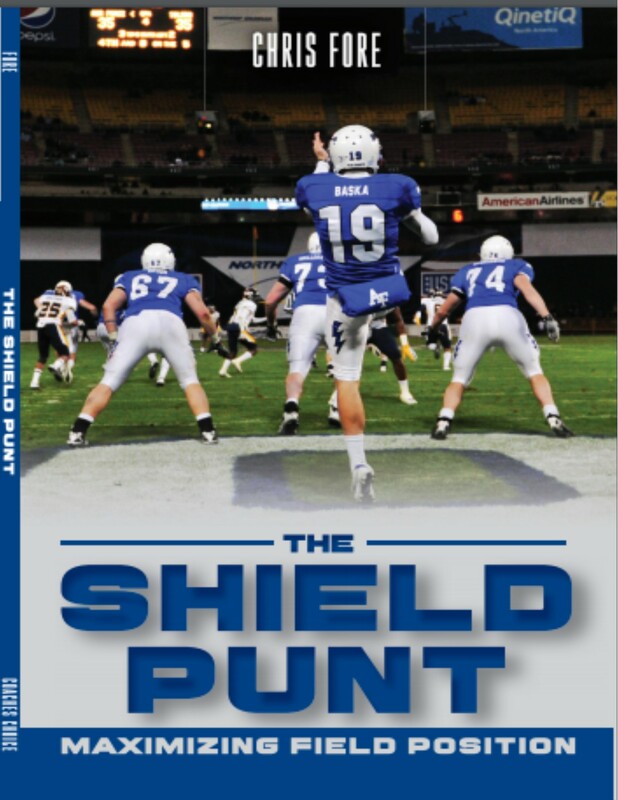 Get the Shield Punt PDF Book here. The numbers speak for themselves! Fore’s teams simply EXCEL at this system because of the wisdom and expertise he has learned over 14 seasons. In 2016, his team allowed just SIX return yards on 40 punts. SIX!! One returner (who now plays on an FCS team) gained 5 yards, and another gained 1. His team was just 3-7 that year, so they weren’t a loaded superpower! But their punt team was amazing! 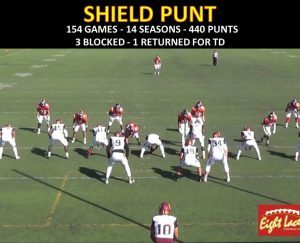 Since 2002, 396 punts at the high school level, and 44 at the junior college level in 2017 (Fore is the Special Teams Coordinator at Victor Valley College), his teams have allowed just THREE blocked punts (’02, ’06, ’14) and ONE touchdown (’07) using the Shield Punt. 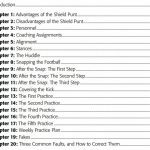 Nobody in the Nation has written more about the Shield Punt, has advised more teams on the Shield Punt, or taught more about the Shield Punt. Fore regularly consults high school, college and even a CFL 2 football team on the Shield Punt. 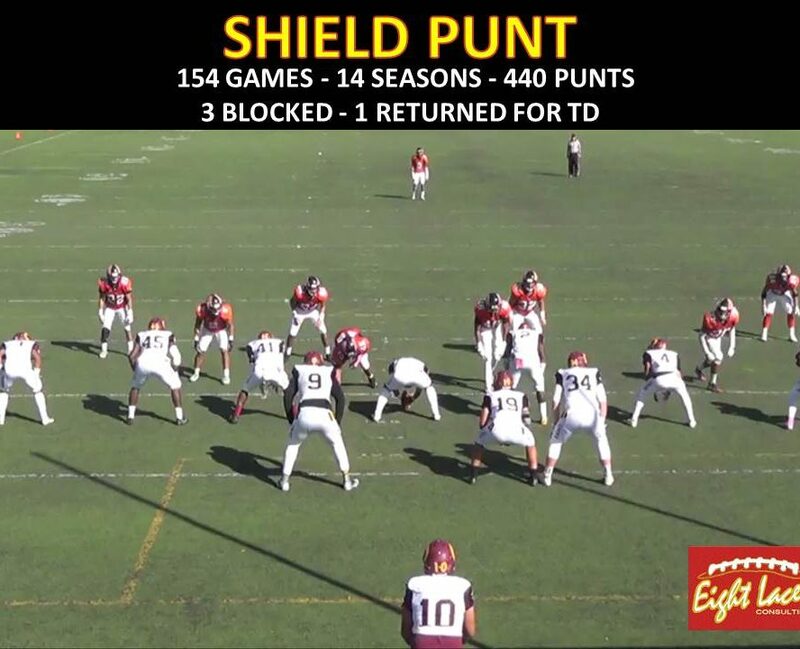 He also runs an E Clinic for the Shield Punt at ShieldPunt.com. 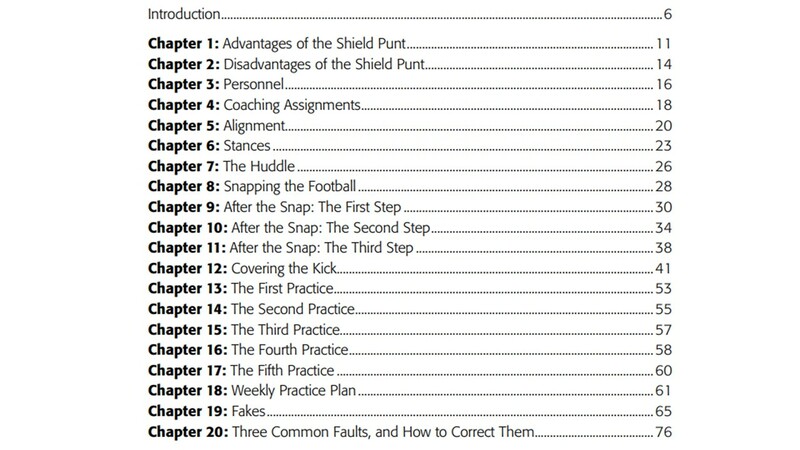 In his newest book, Fore shares everything that you need to know about the Shield Punt. 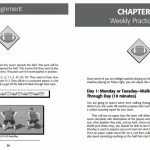 It is jam packed with information for any program looking to make their Shield Punt better, or looking to install it for the first time. 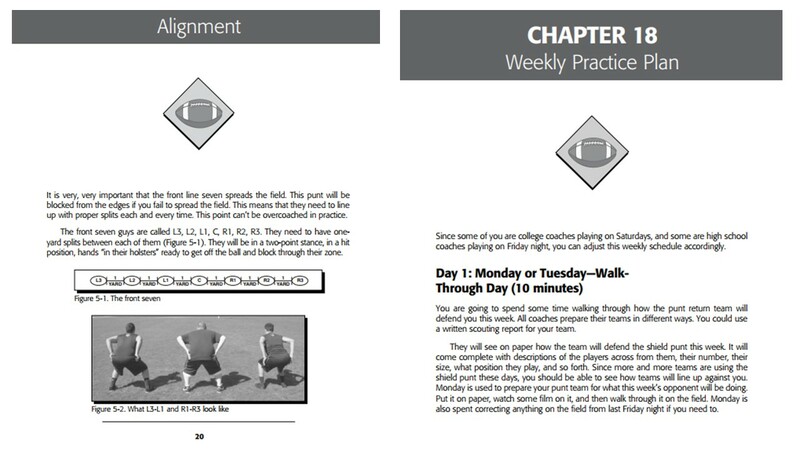 Fore breaks down every single thing you need: from how to use your coaches, to each step your players need to take, to your first practice plan, to giving you ten fakes, and talking through problem-solving. No stone is left unturned in this tremendous resource! 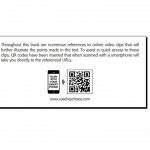 This book also comes with more than 30 videos (via QR code) throughout so that you can learn even more about this system! Shipping is included with the price of the book that you see here. Books ship February 1.